KUALA LUMPUR, 25th August 2017 – For all nubia smartphone users in Malaysia, we have a great news just for you ! Nubia Malaysia has officially launched the first Nubia Care Center at Kuala Lumpur today. “The Nubia Care Center provides a one stop service for nubia smartphone’s repair or maintenance. 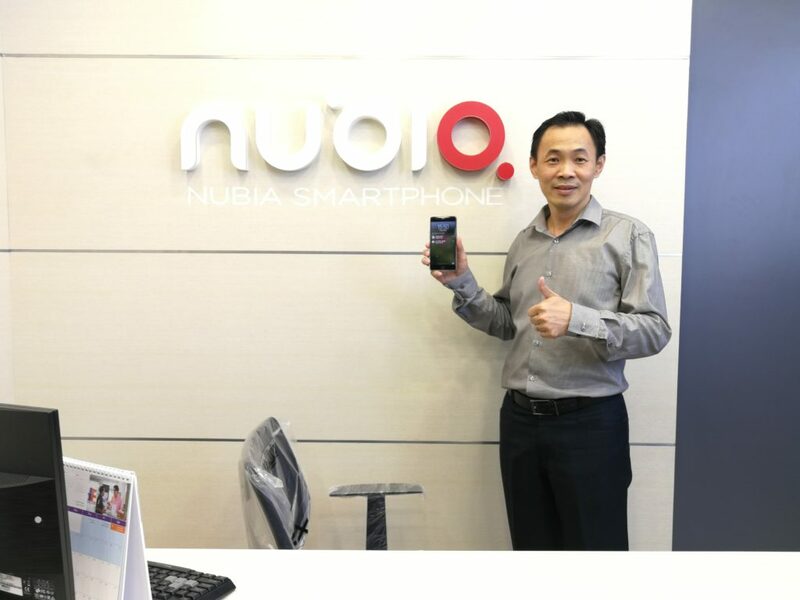 In addition, visitors can also purchase nubia smartphone at the service center or seek information and service related to Nubia devices,“ said Eddie Law, CEO of Nubia Malaysia. After the introduction of three new nubia smartphone models in June, Nubia Malaysia has added their latest nubia Z17 mini to the lineup this month. You stand a chance to hands on the z17 mini at the Nubia Care Center. The nubia z17 mini available in Malaysia comes in Aurora Blue with 6GB of RAM and 128GB of storage. You can preorder your unit at an exclusive price of RM1599 only (normal RRP RM1699) from now until August 31, 2017 at nubia’s online store, official partners (Lazada, Shopee, 11 street, DirectD) and any nubia authorised dealers nationwide. All pre-order units of the nubia Z17 mini also come with an extra benefit, Smartphone Protection Plan which include protection for broken display, water damage and total damage that’s worth RM299! Terms and conditions apply to the Smartphone Protection Plan for the purchased device. Currently there are two Nubia service centers in Malaysia. Apart from the Nubia Care Center mentioned above, there’s another Nubia HQ service center located at Cheras, Kuala Lumpur. Nubia Malaysia will increase 6 more locations this coming September to reach a total of 8 service centers across Malaysia. Lot 3-12, Kota Sri Mutiara, Jalan Sultan Yahya Petra, 15200 Kota Bharu, Kelantan. No 3A-4-47, Kompleks Bukit Jambul, Jalan Rumbia, 11900 Bayan Lepas, Penang. L07, DGR 11&13, DE GARDEN, NO.1, Persiaran Medan Ipoh, Medan Ipoh, 31400 Ipoh, Perak. No.43-A, Jalan Melaka Raya 11, Taman Melaka Raya, 75000 Melaka. No 11-1, Jalan Molek 1/12, Taman Molek, 81100 Johor Baharu, Johor. Lot 1.77A, 1st Floor, Star City, Jalan Asia City, Asia City,88000 Kota Kinabalu, Sabah.